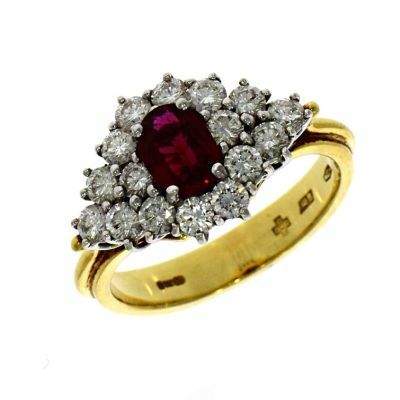 The ruby stands as one fourth of the ‘classic’ quartet of precious stones (the other three examples being the sapphire, the emerald and the diamond), and this famed gemstone needs little introduction. Venerated across a wide range of cultures throughout history, especially within Asia, the ruby is well known in modern society as being the birthstone for the month of July, and perhaps most notably for serving as the commemorative stone for those celebrating 40 years of marriage. 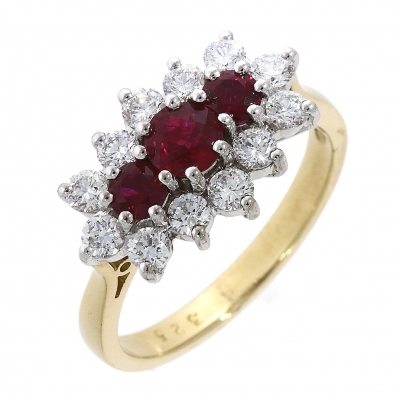 Coupled with the common association of red symbolising ‘love’, there is never any shortage of reasons as to why people might wish for ruby gemstone rings. 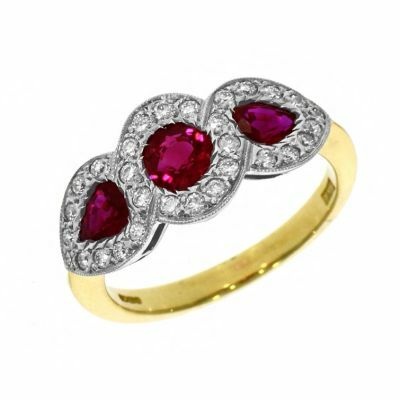 Rubies are, of course, red in colouration, but this red can range from a very deep hue to a subtle tint which almost verges upon pink. The brightest and most valuable ruby stones are known as ‘blood-red’, and the clarity of rubies is also used to determine their ‘class’, with transparency commanding exceptionally high value. 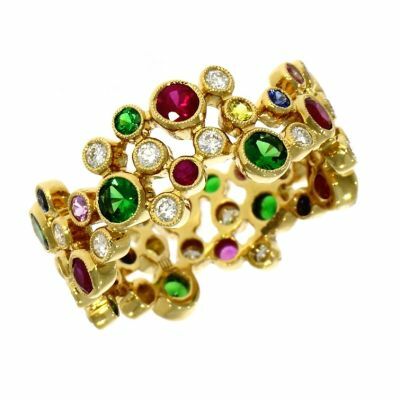 Whether they are set in white gold, yellow gold or even platinum, ruby gemstone rings are always a veritable study in contrasts, and rubies are perfect for those times when you want to acknowledge an unusually significant, and above all memorable, time within life. 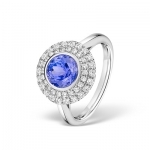 Here at Banks Lyon Jewellers, our own collection of ruby gemstone rings is particularly diverse, incorporating ring designs that boast different settings and even complementary stones of another type, and we always welcome any specific enquires that you might have as well. We are renowned for our ability to create bespoke jewellery, so we certainly won’t be fazed if you’re looking for something a little unusual. For more information, feel free to call us on 01524 38 48 58 or email us at Personalshopper@bankslyon.co.uk at your earliest convenience.